The “training season” is upon us and I hope you have a clear plan for increasing your personal defense skills for this year. Today I was thinking about how to start off this year’s comms (that’s “communications” for the simple people). I’ve come to the decision that I should start from the beginning. As an instructor, I want to encourage you to get out and do some live training. But, I also understand that you have limited time, money, and resources to allocate towards live training. In future comms I will be writing about various training concepts, recommending books/DVDs, and online training; so you can fill the gaps. I will also be sharing information provided by other instructors in the industry I respect and feel their ideas will bring you value. The 10X Defense team will be on the range teaching this year, and I hope you are available to join us. 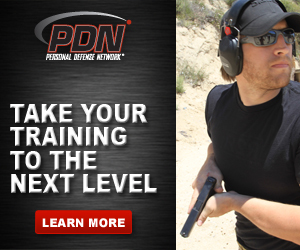 Right now we have our first course scheduled for March 25, 2016, at Angeles Shooting Range for a Fundamentals of Home Defense Handguns Course. I’ve been invited to teach in Iowa this June with my dear friend Alessandro Padovani (Safer Faster Defense), for an Extreme Close Quarters Tactics Course. If you can make it out, the course is going to be EPIC! The Dynamic Critical Incident is at the core of every course I teach. In fact, it’s what separates what we teach at 10X Defense versus other training companies or instructors (except for other instructors certified by I.C.E. Training Company). The term “Dynamic Critical Incident,” is a term I learned from Rob Pincus (I.C.E. Training Company). The definition is, “A Surprising, Chaotic, and Threatening Situation.” We can further break the definition down to be: “A situation where you did not know it was going to happen (Surprise). You don’t know what is going to happen next (Chaotic). There is a credible threat which requires the proper response (e.g., lethal force) to be stopped (Threatening). What’s important to you is the Dynamic Critical Incident requires a set of skills not typically seen in most sterile training environments. I want you to think about what skills you would employ to get a perfect score on a marksmanship test. You are now in a dynamic critical incident. You didn’t know this situation was going to happen; You don’t know what is going to happen next. You’re facing a credible threat where lethal force may be necessary. It is this situation that we train for, the worst case scenario. Skills necessary for dealing with a dynamic critical incident are a bit more complex in comparison to the skills we discussed for the getting the perfect marksmanship score. This is just one example, but I hope it helps you to understand why we use the term Dynamic Critical Incident. Throughout the year we will be referring back to the importance of understanding the skills necessary for dealing with a Dynamic Critical Incident.